Welcome to the new web site of PRIMA GROUP. 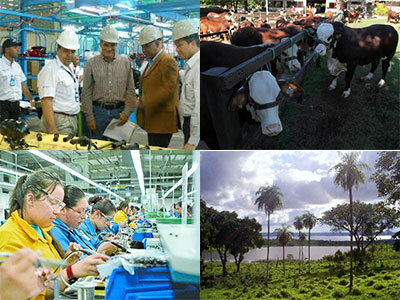 This page is intended to be a communication space while offering a powerful information tool for Paraguayan and foreign business people, as well as our representatives abroad, foreign representatives in our country and to all who could develop or develop business in Paraguay to the world. We invite you to visit our new website, featuring new sections, more information and easy navigation where you will surely find the necessary support for the realization of new businesses that would add value to your entrepreneurship. We hope your visit to the site allow you to know us better, to get to know our services and activities with specialized information that we believe will be of your interest and a space dedicated to investment opportunities in our country. As part of our services we engage strongly with everyone interested, informing them about the business areas, Legal, Notary Features, Techniques, Advantages and Disadvantages related to the business and the desired project.